Any Galapagos Cruise affords the traveller a trip of a lifetime yet adventure and diverse cruise options are available. 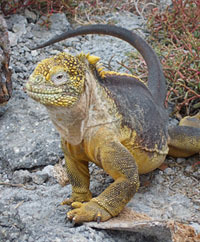 The Galapagos Explorer offers exciting itineraries for 2012. All cruises provide some of the best destination stops with National Park Service trained tour guides on all our land and sea excursions that the discerning adventure traveller has come to expect. With years of experience, we provide some of the most exotic and wide-ranging choices on four, six, and eight night cruises on the Explorer II, the premier all-suite flagship touring the archipelago. Our new schedule includes a choice of 6 night/7 days and two options for 4 nights/5 days that can even be combined for those wanted a longer tour totalling 8 nights on your Galapagos cruise. Length of cruise – This is often the single most important factor when arranging your trip. A longer itinerary provides travellers greater opportunities to see more locations and of course more wildlife, as well as a more leisurely trip. While combining our two 4-night cruises offers greater excursion potentials, even our 2012 6 night/7 day option provides ample time for both wildlife and topographical adventure. Popular visitor sites – While all the common excursion drop-off points are popular to one degree or another, some locations offer revealing and plentiful wildlife viewing for certain species. Isabella Island, for example, shows off an abundance of rich sea life on its western shores, along with dramatic landscapes. Punta Espinosa, Genovesa, and Punta Suarez offer great viewing for the renowned frigate birds, sea lions, and iguanas the Galapagos Islands are famous for. 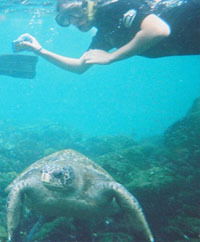 Snorkeling – Seeing the rich aquatic life is a ‘must’ when planning your trip to the Galapagos Islands. The Explorer II provides snorkelling equipment with each cruise option. Because the waters around the archipelago are a World Heritage Site that teams with colourful and diverse marine life, we have numerous opportunities to get in the water for ‘up close and personal’ viewing. Even for travellers unable to snorkel we offer glass-bottom boat trips to enjoy the underwater world in all of our cruise options. When to travel – It is important to plan well in advance for your trip to the Galapagos Islands. Because the archipelago is situated near the equator, the weather is fairly temperate all year so there is essentially no ‘bad time’ to go. However, some seasons and months are more optimal than others, depending on what you want to see. April, May, and November are ideal since both air and sea temperatures are the most evenly balanced and therefore, most comfortable. Also, some travellers love to watch certain species during nesting season or blooming patterns of some plants. We have a more detailed description of some of these patterns throughout our website. Ray Del Castillo the author of the “Galapagos cruise options: four tips for choosing cruises” is a travel writer living and working in the Galapagos islands. He highly recommends a Galapagos Cruise to unwind in the sun! !